This entry was posted in Allgemein on April 10, 2016 by K312008. Sigmund Freud: Wer beeinflusste ihn? Wie entwickelte er seine Ideen? Ausgehend von Freuds Schriften werden diese Fragen auf mögliche Einflüsse von Personen, die zu seiner Zeit oder davor gelebt hatten, systematisch untersucht. Dabei zeigt sich, dass Antworten oft komplexer ausfallen können, als dies auf den ersten Blick den Anschein haben mag, da ideengeschichtliche Fragestellungen dieser Art oft mit Unschärfen der Bestimmbarkeit verbunden sind. Insgesamt 16 verschiedene Arten von Unschärfen werden hier methodisch erfasst und in den Forschungsprozess integriert. Einen weiteren inhaltlichen Schwerpunkt bildet die Erforschung von Einflüssen entwicklungsgeschichtlicher Ideen u.a. von Lamarck, Goethe, Darwin und Haeckel auf Freuds Theoriebildung. Das hierfür verwendete Untersuchungsmaterial umfasst 160 Textbeispiele aus 70 Originalwerken und Briefen. Erhältlich u.a. auf iTunes, amazon sowie im gut sortierten Fachhandel. This entry was posted in Allgemein on April 16, 2016 by K312008. This entry was posted in Allgemein on August 18, 2018 by K312008. 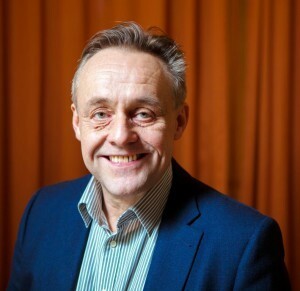 Thomas Barths Monographie […] besticht zuvorderst durch ihre klare Sprache, ihre umfangreiche Quellenanalyse und ihr konsequentes methodologisches Konzept, das gemeinsam mit den aufwendig gestalteten Schemata und Tabellen der vorgenommenen Datenauswertungen sehr stark den Charakter eines betont nüchternen Lehrbuches befördert. 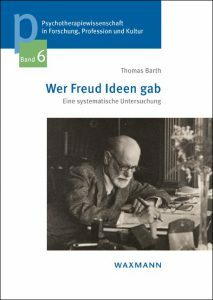 […] Barth [gelingt] allein mit seinen ideengeschichtlichen Studien zu Lamarck, Haeckel und Freud eine außerordentlich gründliche und in der Tat längst überfällige Aufarbeitung, die in dieser Form wohl ihresgleichen suchen dürfte. Nicht nur für den eminent therapiewissenschaftlich definierten Forschungsbereich macht dies die Publikation doch sehr lesenswert. Why Psychoanalysis in the 21st century? Because the scientific method to study unconscious dynamics still matters. Especially in times where acceleration and complexity are rising while values and accomplishments of the Age of Enlightenment are challenged by acts of tyrrany, extremism, exploitation and intellectual regression. These circumstances remind us that consciousness is not something that we can selfishly take for granted. Without it, we regress to brute, archaic, purely instinct-driven behavioural patterns. Without it, we are controlled by drives that make our own lives and these of others miserable. We act out narcissistic grandiosity for the price of remaining developmentally immature. What if this is enforced by our political leaders, by our everyday culture? Culture is not something static outside of us- we are shaped by it and at the same time we co-create it day by day. With our dreams, thoughts, feelings and actions. We are reminded how important it is to reflect, feel and to continue learning, to be able to engage in meaningful interactions with each other, to be able to take responsibility for the past, present and the future as good as we can. To interact with the environment in a responsible way, to live a decent life and to pass on these values to the next generations. One book to recommend is a timeless classic: Freud’s “Group Psychology and Ego Analysis” (1921). Reading it and reflecting on its analysis of psychological mechanisms in groups and individuals cannot undo tragedies of the past, but it can reduce the probability that present and future generations allow seduction and abuse by the very same political and ideological leaders they have chosen- under the condition that the democratic privilege of voting exists and that people actually use their hard-earned right to do so. This entry was posted in Allgemein on January 24, 2017 by K312008. This entry was posted in Allgemein on May 23, 2017 by K312008. This entry was posted in Allgemein on April 12, 2017 by K312008. With a pioneering group of talented students of psychoanalysis at the Albanian Association for Psychotherapy (AAP), Tirana at the end of a 4-day seminar on ‘Sigmund Freud and the History of Psychoanalysis’, May 18-21, 2017. It shows that the history of psychoanalysis is not just a museal thing of the past, but it is happening in the present moment as well, with everybody being an interconnected element in the legacy. 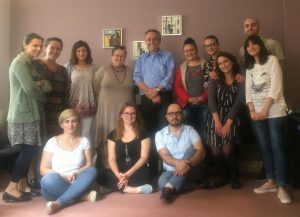 The psychotherapy alliance between Vienna and Tirana has been developed by Prof. Dr. Alfred Pritz, Dr. Elisabeth Vykoukal, DDr. Karl Golling (SFU) and Dr. Christoph Fischer (PSI). This entry was posted in Allgemein on May 22, 2017 by K312008.